Charles Bernard Nordhoff (1 February 1887—10 April, 1947) was an American traveler and novelist who began life in London, England, born to American parents. Nordhoff's parents returned to the United States with him in 1889, living first in Pennsylvania, then Rhode Island, and finally settling in California by 1898. Nordhoff showed an early interest in writing. His first published work was an article in an ornithological journal, written in 1902 when he was just fifteen. At seventeen, he entered Stanford University, but transferred after one year to Harvard. After graduation in 1909, Nordhoff worked for his father's businesses, first spending two years in Mexico managing a sugar plantation, then four years as an executive of a tile and brick company in Redlands, California. 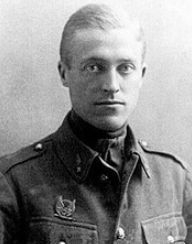 He quit in 1916, signed up with the Ambulance Corps, and travelled to France. There he joined additional American expatriates as a pilot in the Lafayette Escadrille. He finished World War I as a lieutenant in the US Army Air Service. 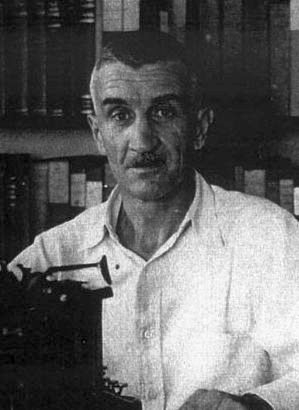 After leaving the service, Nordhoff stayed on in Paris, France, where he worked as a journalist and wrote his first book, The Fledgling. In 1919, he and another former Lafayette Squadron pilot, James Norman Hall, who was additionally an author and journalist, were asked to write a history of that unit. Neither man had known the other throughout the war. Their first literary collaboration, The Lafayette Flying Corps, was published in 1920. The two authors then returned to the United States, sharing a rented house on Martha's Vineyard, until given a commission by Harper's Magazine to write travel articles set in the South Pacific. They went to Tahiti in the Society Islands for research and inspiration, and ended up staying, Nordhoff for twenty years, Hall for life. Their second book, Faery Lands of the South Seas, was serialised in Harper's in 1920-21, then published in book form. Nordhoff married a Tahitian woman with whom he would have four daughters and two sons. He wrote novels on his own for ten years, of which The Derelict (1928) was considered his finest solo effort. Nordhoff and Hall continued to jointly write travel and adventure articles for The Atlantic throughout the 1920s and early 1930s. They additionally co-authored another memoir of World War I, Falcons of France (1929). It was Hall who suggested they work on the Bounty trilogy. Nordhoff, who would write in the mornings and spend the afternoons fishing, once explained how he and James Hall worked together. They initially drew up charts of all the characters, then would dole out the chapters to each other. For their joint works they each made an effort to write in the other's style so as to achieve a reasonably smooth narrative. After the Bounty Trilogy, Nordhoff and Hall's most successful book was The Hurricane (1936). They continued their partnership writing novels until 1945. 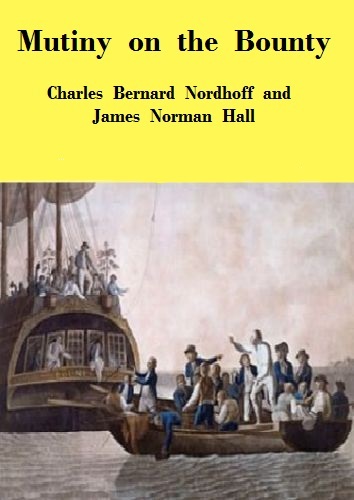 Nordhoff on his own would only produce one more solo book, In Yankee Windjammers (1940), a retelling of the ships, sailors, and way of life about which his grandfather had written. James Norman Hall (22 April 1887—5 July 1951) was born in Colfax, Iowa, where he attended the local schools. Hall graduated from Grinnell College in 1910 and became a social worker in Boston, Massachusetts, while trying to establish himself as a writer and studying for a Master's degree from Harvard University. He was on vacation in the United Kingdom in the summer of 1914, when World War I began. Posing as a Canadian, he enlisted in the British Army, serving in the Royal Fusiliers as a machine gunner during the Battle of Loos. He was discharged after his true nationality was discovered, and he returned to the United States and wrote his first book, Kitchener's Mob (1916), recounting his wartime experiences. Returning to France, in 1916 Hall joined the Lafayette Escadrille, an American volunteer flying squadron in the French Air Force. During his time in the Escadrille, Hall was awarded the Croix de Guerre and the Médaille Militaire. When the United States entered the war, Hall was made a Captain in the Army Air Service. After being shot down over enemy lines, Hall spent the last months of the war as a German prisoner of war. After being released, he was awarded the French Légion d’Honneur and the American Distinguished Service Cross. After the war, Hall spent much of his life on the island of Tahiti, where he and Charles Nordhoff, who had also moved there, wrote a number of successful adventure books (including the Bounty trilogy). In addition to the various Bounty films, other film adaptations of his fiction include The Hurricane (1937), which starred his nephew Jon Hall; Passage to Marseille (1944), featuring Humphrey Bogart; and Botany Bay (1953), with Alan Ladd. In 1940, Hall published a book of poems with the title Oh Millersville! It appeared under the pseudonym Fern Gravel, and the poems were written in the voice of a girl of about 10 years of age. The book was critically well received, and the hoax wasn't exposed until 1946, when Hall published an article entitled "Fern Gravel: A Hoax and a Confession" in the Atlantic Monthly. He wrote that he had been inspired by a dream in which he saw himself back in his Iowa childhood with a group of children, among whom was a girl named Fern who wanted her poems written down. When he awoke, Hall wrote Fern's poems, which are simply worded but nicely detailed first-person observations of small-town life. Hall died in Tahiti and is buried on the hillside property just above the wooden house he lived in for many years; the house, now restored, is a family museum. Epub 20160546.epub If you cannot open a .mobi file on your mobile device, please use .epub with an appropriate eReader. Mobi/Kindle 20160546.mobi Not all Kindles or Kindle apps open all .mobi files.